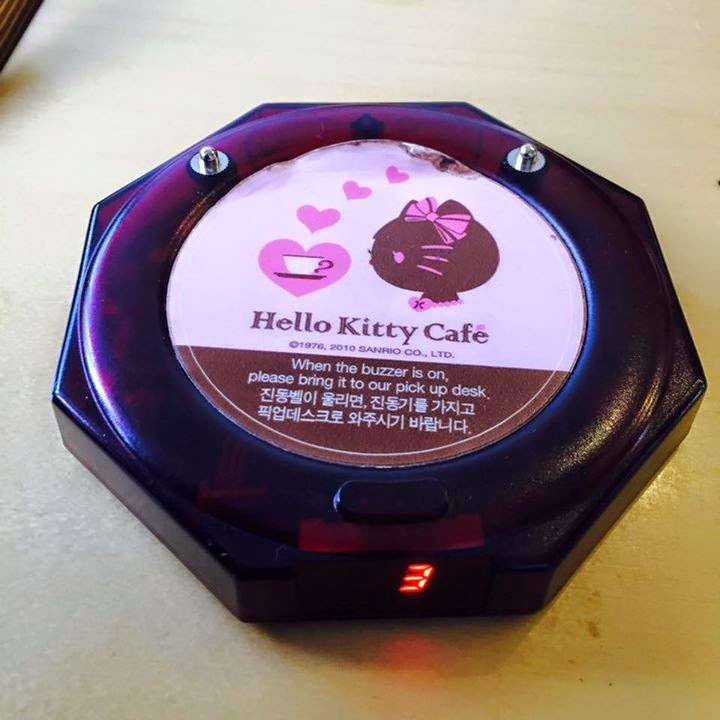 Once you place your order, you will get this hello kitty buzzer which will notice you while you can sit down or explore around the cafe. 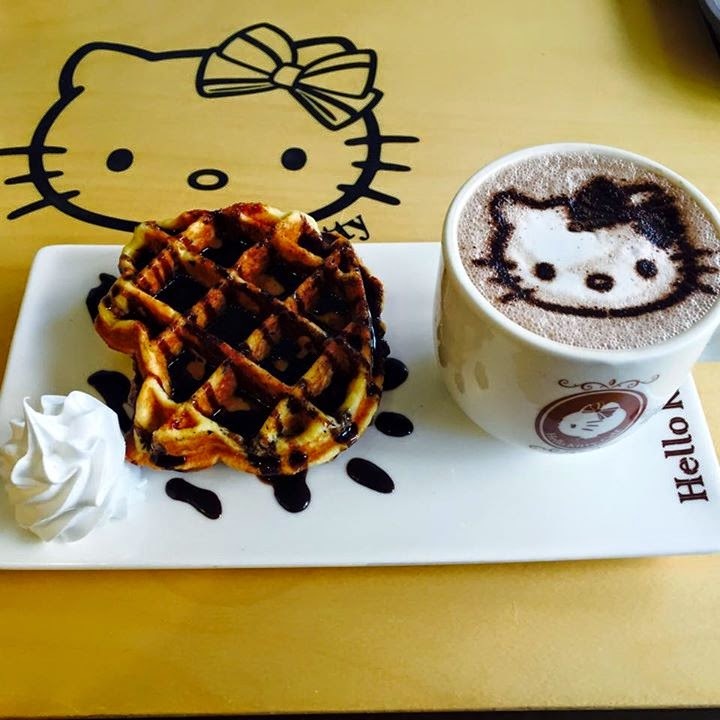 The hello kitty shape waffle with latte drink. 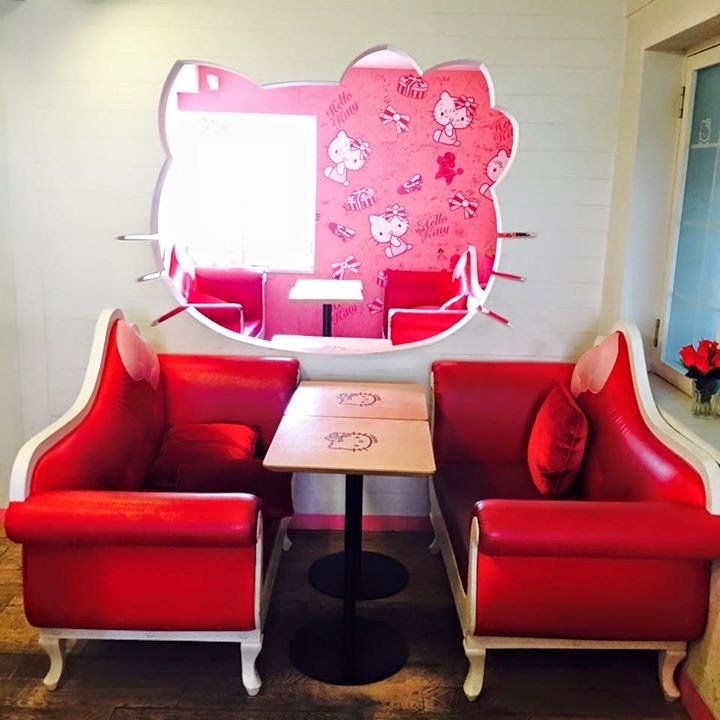 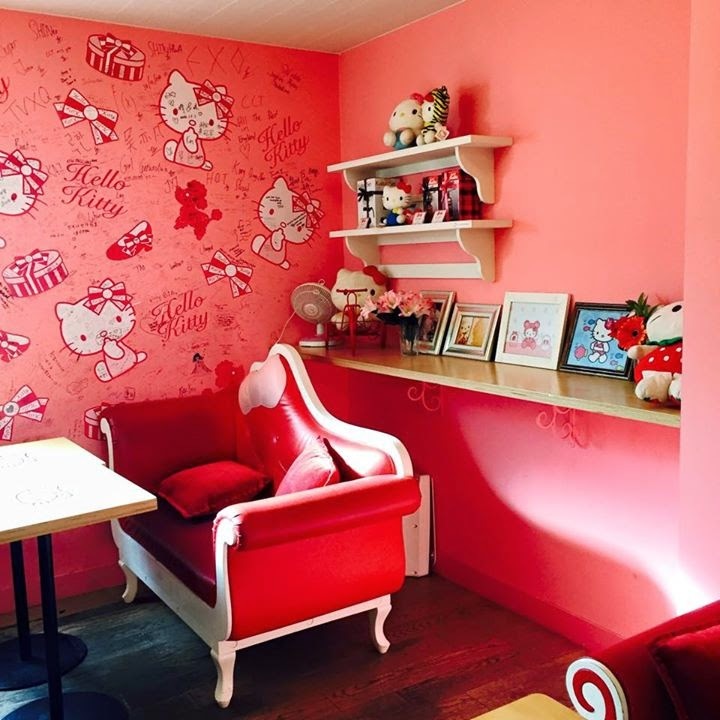 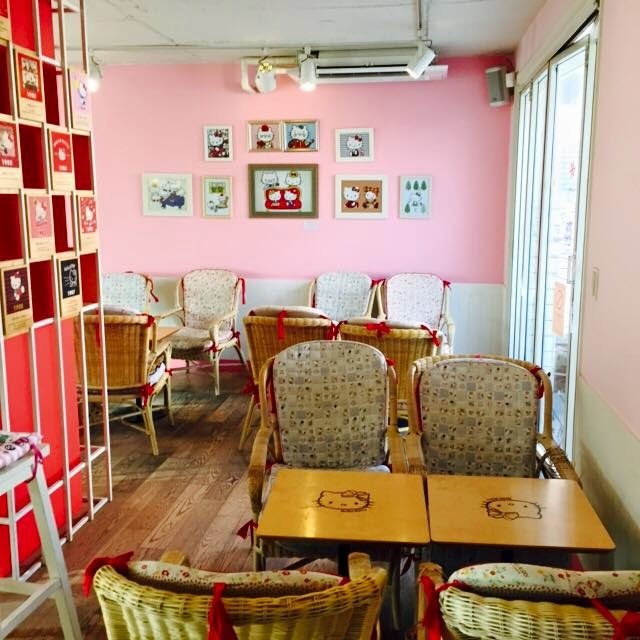 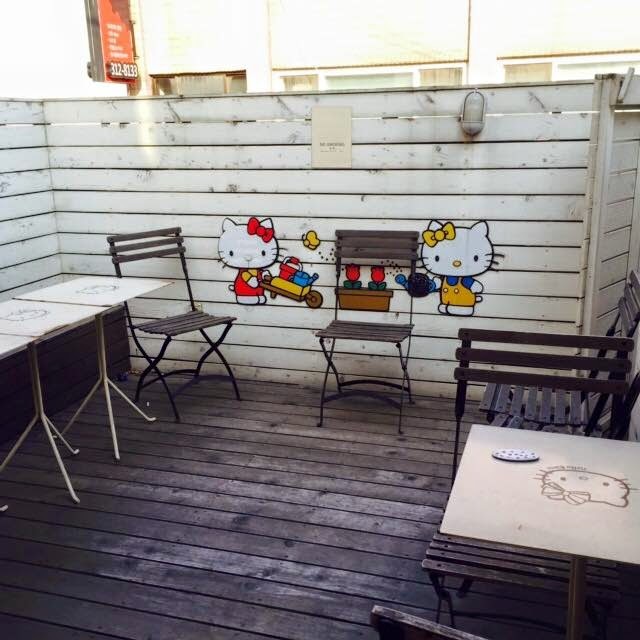 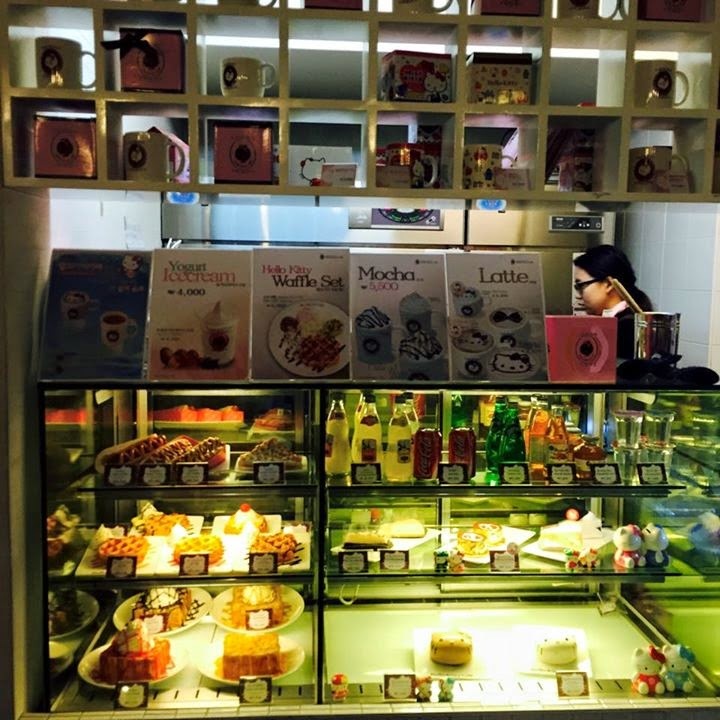 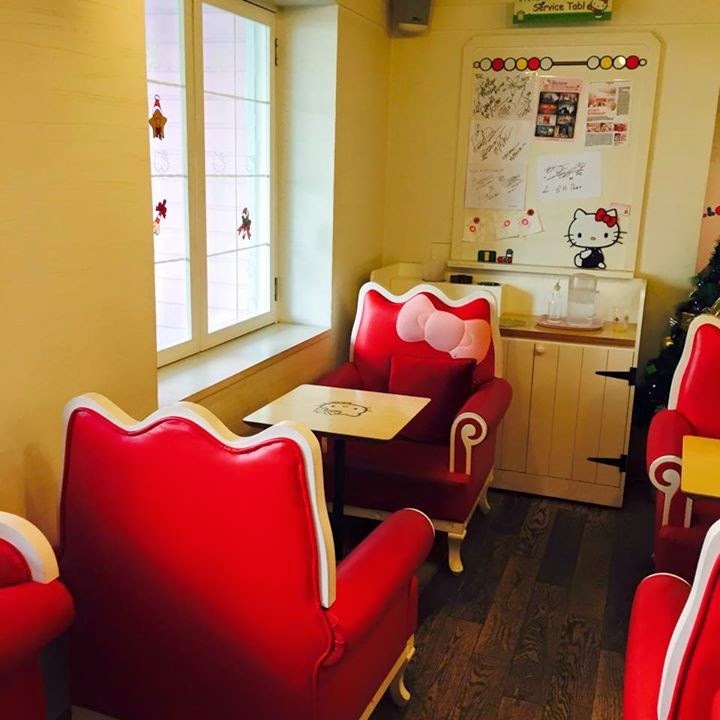 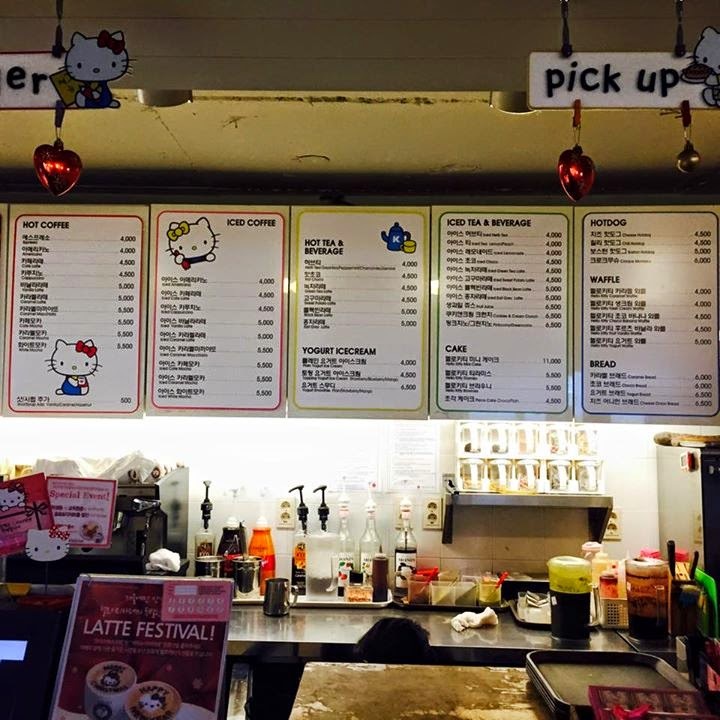 Every part of the cafe is specially designed with lot of hello kitty decorations. 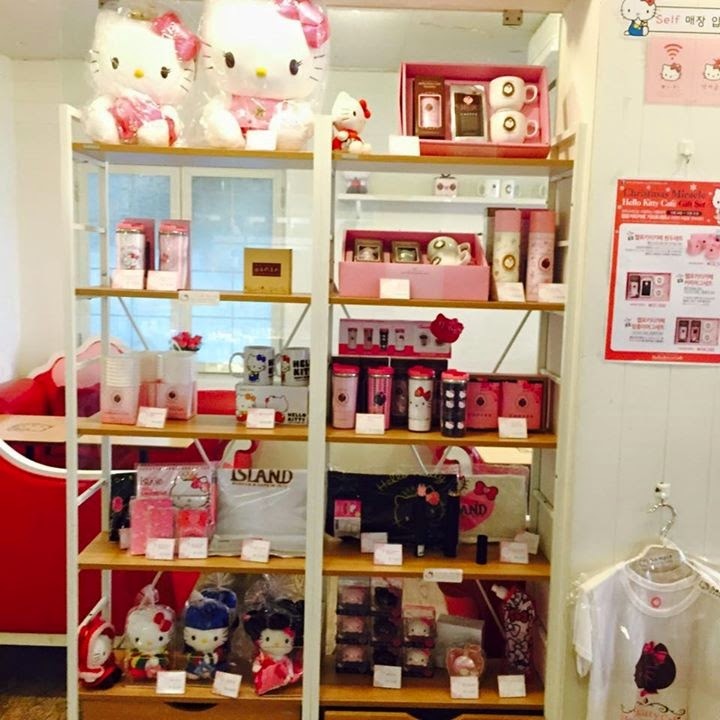 For those who are a crazy fan of Hello Kitty, you can even buy merchandise over here. 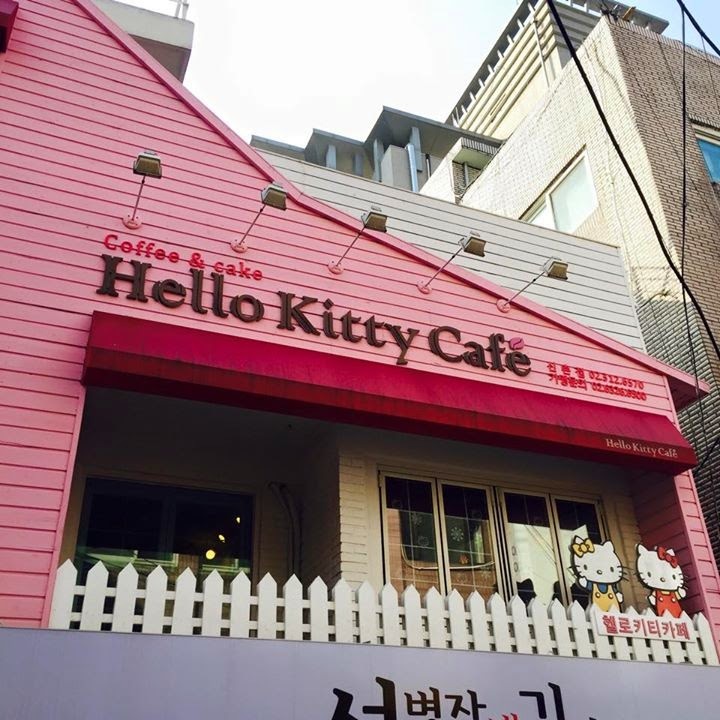 Overall, it is a nice cafe to chillax especially after a long day of shopping at nearby Ewha woman university street and Sinchon. 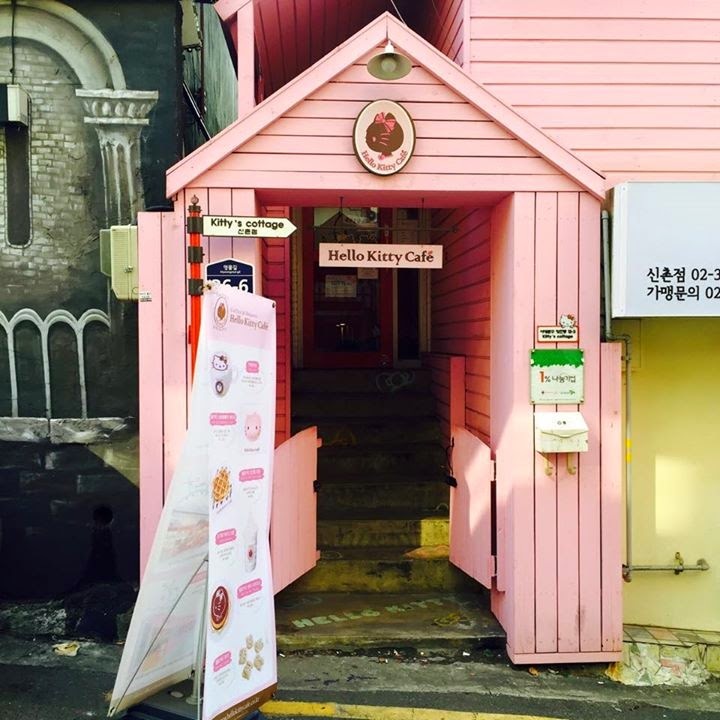 It is also a popular place for couple to go dating as I saw quite a few couples over here.